If you’ve been following our blog for a little while, you know that we’ve been talking about the new Acura TLX for a while now. A new car may be impressive when it stands alone, but there’s something to be said, a lot to be said in fact, for how it compares to other models in its segment. 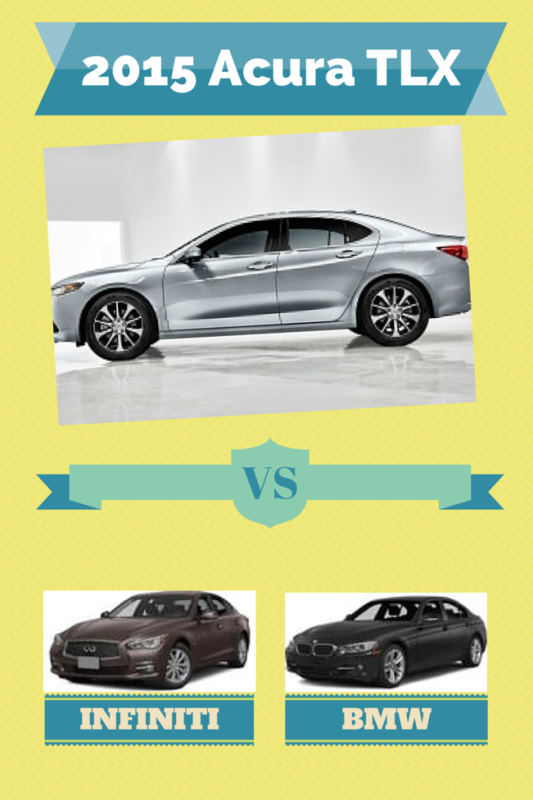 To that end, we want to use today’s post to compare the 2015 Acura TLX 9-spd AT to the 2014 Infiniti Q50 Base and the 2014 BMW 3 Series Sedan 328i. We’re going to give you some of the most important highlights, but of course you can check out the full comparison in-depth on the Acura website. The Acura TLX has both a lower base MSRP and destination charge than the other two models. Even when all three models are comparably equipped, the TLX is still the better price point. All three models have the same basic warranty, but the TLX has a better powertrain warranty for both months and miles than the Infiniti or BMW models. The TLX offers more driver-side memory adjustments than the BMW. The TLX comes with a standard moonroof. Unlike the Infiniti, the TLX has a standard universal garage door opener. 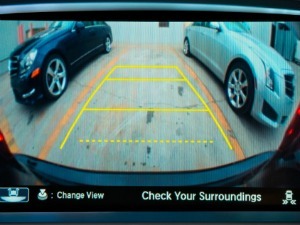 Unlike the BMW, the TLX has a standard rearview camera. Unlike the Infiniti, the TLX offers dual adjustable seat height. The TLX has standard heated front seats, which are not available in the Infiniti and just optional with the BMW. The TLX offers standard access to satellite radio which is an option in the BMW. Also, surround sound, not available in the Infiniti and optional in the BMW, is standard for the TLX. 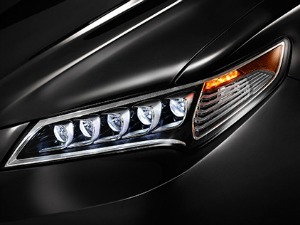 The TLX trumps the BMW for standard LED headlights and the Infiniti for standard perimeter/exterior lighting activated via remote. While all three models have storage features such as cargo area tiedown, seatback storage, and beverage holders, the TLX also has armrest storage. When it comes to performance and engineering, the mechanics of a vehicle can sometimes be a little more technical than customers care to know about. So again, here are some highlights. The TLX has both more horsepower and torque than the BMW. Paddle shifters are standard on the TLX, but are optional on the BMW and not available for the Infiniti. The TLX has standard hill start assist, which is not available for the Infiniti. 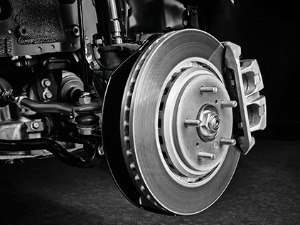 The TLX has bigger wheels than both competitors’ models (18 inches vs. 17 inches). The difference in this area is that the TLX and BMW also have a radio theft deterrent system, which is not available in the Infiniti. Finally, let’s get an overview of the size of these models. These models vary greatly in terms of the size of their wheelbase, height, curb weight, and maximum passenger volume. The only thing they seem to have in common in this department is that all three models offer seating for five. 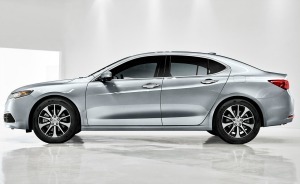 The TLX has both a greater length and width than both competitors’ models. Both the front and rear tracks are bigger on the TLX. While the ground clearance for the Infiniti is not listed, the TLX has a better ground clearance than the BMW. In terms of maximum and total cargo volume, the TLX trumps the BMW. The TLX has more fuel tank capacity than the BMW. The TLX offers more front legroom and rear shoulder room than the BMW, and more front shoulder room than both the Infiniti and the BMW. If the specs you’ve read about today for the 2015 Acura TLX sound like a good fit for your lifestyle needs and you’re in the market for a sports-sedan, we invite you to come down and check out the TLX for yourself. For your convenience, we’ve even made it possible for you to schedule a test drive simply by clicking on the button below. What features in the TLX sound appealing to you? Do you have any questions about the TLX that we could answer for you? Please feel free to leave a comment or question, or reach out to us on Facebook or Twitter.